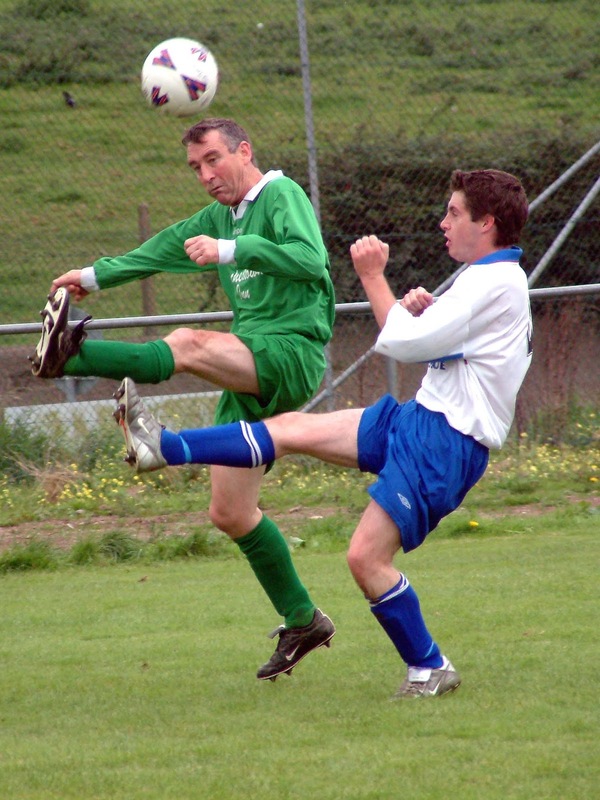 SOCCER IN CORK: Nostalgia Match of the Day 24.09.05. Passage 2 Rathcoole Rovers 1. Nostalgia Match of the Day 24.09.05. 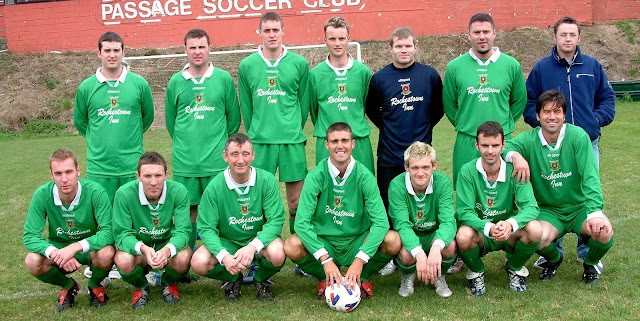 Passage 2 Rathcoole Rovers 1. 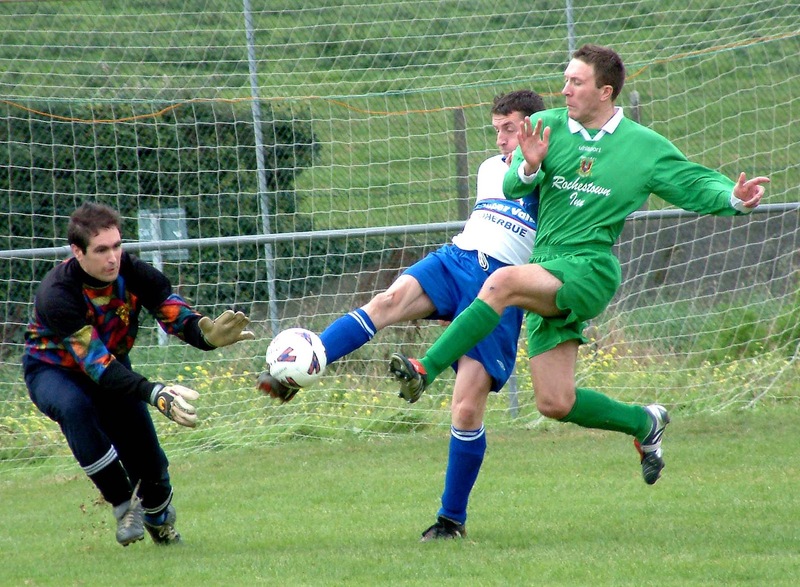 Keeper Eric Cahalane was in the right place to save Passage on Saturday afternoon as the harboursiders survived a late scare to advance to the second round of the Munster Junior Cup with a 2-1 win over visitors Rathcoole Rovers. But the Premier favourites, who went two up midway through the second half, were hanging on at the end. Rathcoole could perhaps have made it even more uncomfortable for their hosts had they been able to get an adequate and suitable supply to the front men. But quite often the passes forward were too high and that didn't suit the smaller forwards. When they played the ball to feet, as they did when pulling a goal back with about seven minutes to go, they caused big trouble for the home defence. The late drama began with that excellent goal. Robertas Cameiliavsras found himself outnumbered at the edge of the Passage box. But the incoming pass was to feet and he was able to lay a long ball back to Alan Guerin who got up the right and crossed. Tony Buckley met the ball beyond the far post and knocked it back across the six-yard box where Tim Cleary forced it home after a mini-scramble. The sending off soon followed, a Passage player getting his marching orders. It could have been costly. With two minutes to go, the visitors breached the home defence again. Guerin was again at the heart of it and his cross was headed down by Cameiliavsras. His ball across the box found Tadhg Browne. He let fly from about ten yards but keeper Cahalane managed to block it with his knees. While Rathcoole had the first decent chance of the game, Passage had the edge for most of the first half. That early opportunity came in the 4th minute when Lithuanian striker Robertas Cameiliavsras crossed from the right. He found the head of Tadhg Browne but the effort was a shade too high. Both Passage strikers, Simon McGarry and Chris McSweeney, bothered the visiting keeper Fergal Walsh, before Passage took the lead in the 18th minute. The danger came from the right, thanks to a perceptive ball by Passage skipper James O'Leary that sent Gavin O’Connor free. He crossed towards the near post where McSweeney controlled the ball well before netting past Walsh. Alan Guerin, who played very well in the Rathcoole defence, came close to a goal in the 20th minute but his free, from outside the box, sped low past the post, having beaten the wall. It was fairly competitive in midfield. Generally though the exchanges were hard and fair. Young Passage forward Simon McGarry endured a few frustrating minutes in the second quarter. On 34 minutes, he reached an inviting cross by Gavin O’Connor but, unmarked, drove wide of the far post from close range. It was a great chance. Two minutes later, a superb ball over the top by the experienced Paul Coughlan sent McGarry free but this time his finish was weak and straight at keeper Walsh. In the next minute, McGarry did better after James O’Leary had headed on a free by Brendan “Bags” Murphy but his near post finish was blocked, at close quarters, by the visiting keeper. Passage player Gavin O'Connor intercepts. The resultant corner proved more dangerous to Passage than to Rathcoole. The visitors quickly cleared Gary Prout’s flag kick and raced upfield. Cameiliavsras crossed towards Tadhgie Browne but his volley flew too high. Passage had a bright start to the second half and went two up in the 53rd minute. Then O'Leary met a Rathcoole clearance and played Gary Prout clear. Prout raced through the middle and calmly outfoxed his marker before sending a well placed shot past Walsh to double the Passage lead. Passage were opened up on the 56th minute. Then Alan Guerin played the ball forward to Tony Buckley at the edge of the box. Buckley smartly stepped inside his marker but his shot was wayward. 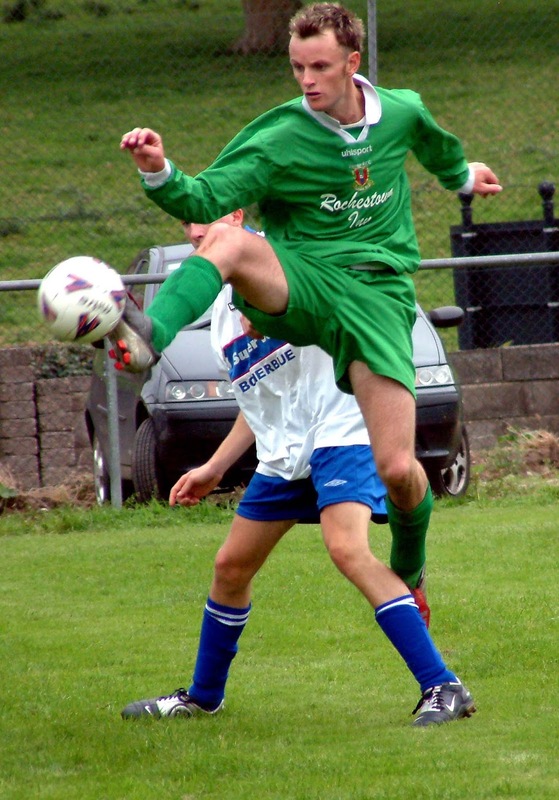 Guerin was perhaps the top Rathcoole player on the day and he was seen to good effect in the 72nd minute. Then Passage threatened to add to their lead. Prout crossed into the box and McSweeney headed the ball down into the path of sub Kieran McGarry. But Guerin came from nowhere to intercept and clear the danger. Gary Prout (left) and Rathcoole's James O'Connor. 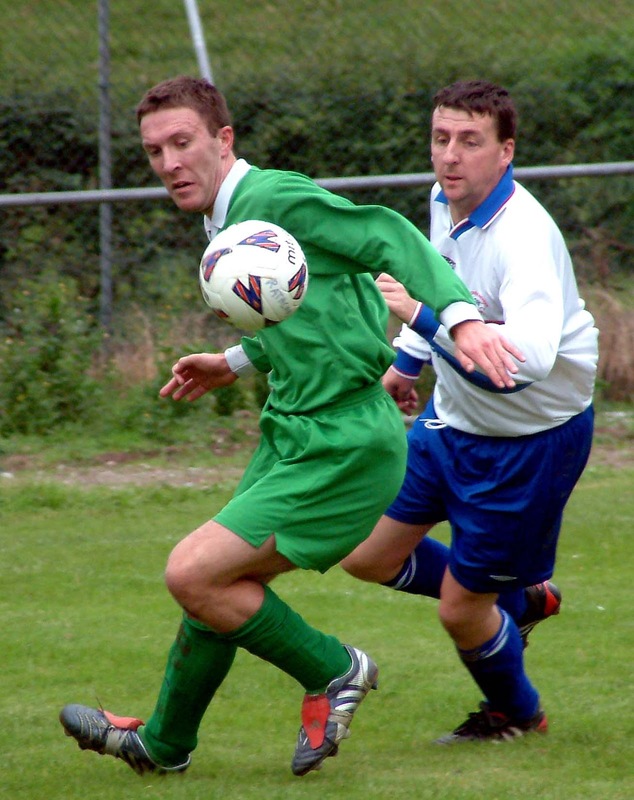 Guerin's intervention kept Rathcoole’s faint hopes alive but they were almost extinguished totally a few minutes later when Gavin O’Connor got free on the right and fired a low shot past Walsh but it ran just outside the far post. Then came that late drama, the Rathcoole goal, the sending off and Cahalane’s save. Indeed, Passage came close to scoring immediately after that save. They quickly cleared the ball and Coughlan got away but he narrowly failed to put the icing on the cake, his low shot curling just wide. Each side had a corner after that but the score remained at 2-1 and Passage, who won the competition in 2002, are through to round two where they’ll play Buttevant, Greenmount Rangers or Maymount Celtic. Passage: Eric Cahalane, Martin Murphy, David Daly, Mervyn O’Connor, Brendan Murphy, Paul Coughlan, James O'Leary (captain), Gary Prout, Simon McGarry, Chris McSweeney and Gavin O’Connor. Sub used: Kieran McGarry for O'Leary (70th minute). 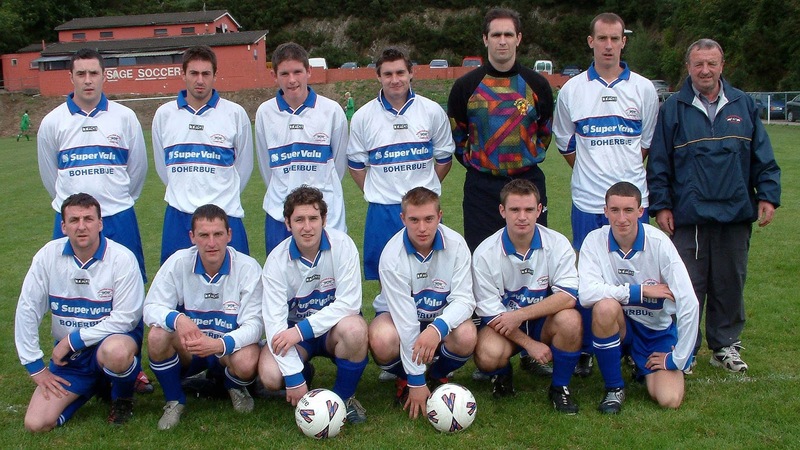 Rathcoole Rovers: Fergal Walsh (captain), John Angland, Alan Guerin, Tim Cleary, James O’Connor, John A. Browne, Tony Buckley, Michael Cashman, David Burke, Tadhg Browne and Robertas Camieliavsras. Sub used: Eoin Crowley for Burke (65th minute).